Black Jake has buried his hoard somewhere in the grid, but helpfully has left behind his diary giving directions for any movements he made each day (though some days he stayed put). The answers represent the pages in the diary, in sequence. Starting at the circled cell, solvers must draw a trace through the centre of all those cells where Jake would have been at day's end. This will lead them to something useful, near the foot of which lies the hoard, in two lumps (8 cells), to be highlighted. (Note - two answers are abbreviations). 26 Monster has Special Constable and accomplice retreating. 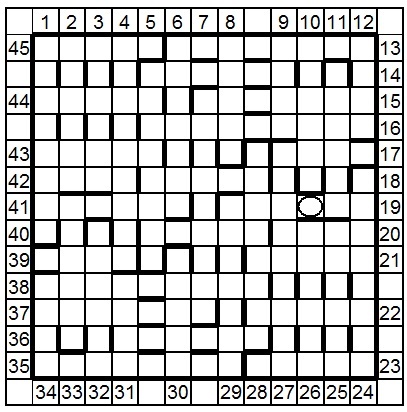 To enter this competition, send your entry as an image or in list format indicating the highlighted cells and a clear description of the final grid, to ccpuzzles@talktalk.net before the 8th October 2015.The first correct entry drawn from the hat will receive a book from the Chambers range which has been donated by Chambers.